A number of bills related to photo enforcement have been introduced for consideration by the 2012 General Assembly. Here is our summary of legislation introduced so far. Requiring that a speed monitoring system calibration check be performed by an independent calibration laboratory that is unaffiliated with the manufacturer of the speed monitoring system; authorizing a person named in a citation based on a recorded image produced by a speed monitoring system to use the recorded image in defense of the violation charged; and prohibiting a contractor's fee from being contingent on the number of citations issued or paid if the contractor administers or processes the citations. This EXTREMELY IMPORTANT Legislation corrects several serious flaws in the state's speed camera law. We have documented in the past how a requirement of the law that speed cameras be "certified" by an "independent calibration laboratory" was violated by the the contractor for SHA, Baltimore County, and Baltimore City... instead allowing the manufacturer(who has a direct conflict of interest) to certify the devices. While the vendor did re-certify the devices using a different company, they did so only after the matter was raised to the media and only after they had been used for over a year and issued hundreds of thousands of citations. Second, we have documented how after some motorists asserted they had been falsely accused by speed cameras produced by Optotraffic(a division of Sigma Space), the contractor changed their story several times about how the devices worked, and eventually after persuaded the courts to stop accepting photos as exonerating evidence. In one case a judge specifically stated that there was no evidence the court would accept of innocence other than to prove that a different person was driving and to make that person pay instead, and that no argument questioning the accuracy of the device would be accepted. NHTSA standards for speed cameras specifically state that the devices should allow for some form secondary evidence of speed, which our reading of the current law was that citation images were supposed to be usable in that way. Unfortunately, it appears it is necessary for the legislature to clearly state that if time-stamped images can be used as evidence of guilt, they can also be used as evidence of innocence. Finally, the bill would ban "contingent fees" if the contractor "administers or processes the citations". Right now MOST local speed camera programs are circumventing a provision of the law which states that if a contractor "operates" a speed camera, their fee cannot be based on the number of citations issued or paid. Following the advice of Attorney General Gansler, the local governments (beginning with Montgomery County) circumvented the current restriction by simply not using the word "operate" to describe what the vendor does -- a change which was made without substantially reducing the amount of control these vendors have over the devices or the programs. This bill would help alleviate that and the conflict of interest which is possible if a speed camera vendor with a financial interest has control over the chain of evidence. No doubt certain speed camera contractors and local government agencies will lobby behind the scenes to kill this change, which would decrease their ability to cheat in order to increase revenues. Your support will be needed to prevent that. HB1044 is scheduled for a hearing in the House Environmental Matters Committee on March 9, 2012 at 1pm. Change would require a 30 day "warning period" for EACH speed monitoring system a local government uses. Currently state law requires that for 30 days after THE FIRST speed camera is deployed by a given local government that warnings be issued. The change would be that this be done for EACH camera. This is significant, because many local governments (and their contractors) have interpreted this to mean they can deploy a single speed camera on a low-volume road, and issue only a handful of warnings. Then as soon as the warning period ends, they deploy multiple speed cameras on high volume commuter routes. In many cases new "school zone" cameras are deployed in locations which were only marked as "school zones" a few days or weeks before the "school zone" speed cameras were deployed. And in a few instances these cameras have even been deployed in locations where speed limit was recently lowered to create a "new speed transition zone", nabbing drivers who were not yet familiar with the new traffic pattern. This legislation might help to curb that sort of abuse. Sponsored by Delegates McConkey, Fisher, Frank, Glass, Holmes, Jacobs, Kipke, McComas, McMillan, Norman, Otto, Schulz, Smigiel, Vitale, and Weir. A hearing in the House Environmental Matters Committee is scheduled for 2/14 at 1pm. This legislation would ban the use of "workzone speed monitoring systems" when workers are not present. Currently state law permits SHA speed cameras to be used in workzones on interstate highways "regardless of whether workers are present". A large percentage of workzone speed camera tickets have been issued when no work is taking place and no workers present, sometimes when speed limits are reduced. House Bill 326 sponsored by Delegates Frank, Aumann, Bates, Beitzel, Boteler, Bromwell, Cluster, Conaway, DeBoy, Dwyer, Eckardt, Elliott, Fisher, George, Glass, Guzzone, Hogan, Hough, Impallaria, Jacobs, Kach, K. Kelly, Kipke, McConkey, McDermott, McDonough, W. Miller, Minnick, Mitchell, Morhaim, Myers, Norman, Olszewski, Otto, Parrott, Ready, B. Robinson, Schuh, Schulz, Serafini, Smigiel, Stocksdale, Szeliga, Vitale, Weir, and Wood. SB57 is sponsored by Senators Brochin, Jacobs, Kittleman, and Stone . HB326 is scheduled for a hearing in the House Environmental Matters Committee on 2/14. SB57 is scheduled for a hearing in the Senate Judicial Proceedings Committee on 2/21. Would prohibit a speed monitoring system or a work zone speed control system from being relocated for the purpose of increasing the revenue. We'll give this one high marks for good intentions, this should be a no brainer. A prime example of where that type of abuse took place was in Forest Heights. The speed camera was initially placed near an intersection a reasonable distance after a drop in the speed limit. However after a few weeks, the camera was moved farther south, closer to the speed transition zone in the northbound direction. And after the change, drivers in the southbound direction entering from a side street would first see a 40mph sign, rather than a sign for the 35mph limit the camera was enforcing. The change was made without permission from the SHA. Unfortunately in practice this change would be trivial to circumvent. Most local governments know never to put into words that a change like this was done to increase revenue; the official story will always be that it was done "for safety". A hearing is scheduled in the House Environmental Matters Committee on 2/21. This bill would remove the requirement that speed camera citations be reviewed by police, instead allowing non-sworn employees or private contractors to approve citations instead. This legislation was introduced last year. It has been promoted by the cities of Laurel, Rockville, and Gaithersburg. The City of Rockville specifically stated their goal was to save the program several thousand dollars of revenue (Rockville had projected over $2.1million in fines in their FY11 budget). The Fiscal Policy Note from last year's bill specifically stated that the bill would also permit citations to be reviewed by private contractors. In the best case scenario, this would increase cynicism by the public about speed camera enforcement and reduce accountability by local governments and law enforcement. In the worst case responsibility would be turned over to for-profit contractors with an incentive to either allow questionable citations to be issued, or to cover up problems with equipment and not report technical errors discovered during citation review to police. This bill is absolutely the last thing Maryland needs. We've documented photo enforcement errors on this website, and this legislation will make that problem worse. And we've decried the effect of the lack of accountability in the current system. Do the sponsors of this legislation want to see MORE of that and LESS accountability by local governments? If so, by all means the legislature should vote for this stupid, harmful legislation. SB 486 is scheduled for a hearing in the Senate Judicial Proceedings Committee on 2/21. Creates an entirely new class of photo enforcement system, "Vehicle Height Monitoring Systems", which will allow the city of Baltimore to issue $500 fines for vehicles that are "too tall". The sponsors of this bill probably know that most ordinary drivers won't look past their own interests and the fact that their cars won't run afoul of height restrictions. The primary targets of these tickets would be commercial fleets of trucks, buses, vans, and construction vehicles... not passenger cars. However it would be naive of the driving public to ignore the creation of an entirely new class of photo enforcement system. The fact is Maryland is not facing a new, growing, crisis of "overly tall" vehicles. The sponsors of this bill will probably present some anecdotal incident in the hope of conning the public and legislature into believing such a fictional crisis exists. But accidents caused by vehicles that are "too tall" are an infinitesimal fraction of traffic accidents. Even in those instances there is no evidence that issuing a citation 2 weeks AFTER a vehicle strikes an obstruction would reduce accidents in any way. More to the point, the bill allows the devices to enforce local height restrictions, without specifying which ones, and opens up the scenario that NEW height restrictions might be CREATED on some roads simply for the purpose of collecting those $500 fines, and not be based on the presence of any road obstructions at all. More to the point for motorists, this opens the door for a wide variety of new "XYZ Monitoring Systems" for local technical violations most drivers have never even heard of, all carrying a substantially lower burden of proof. Drivers should stand by commercial fleet operators on this one and reject this very very bad idea. Sponsors of HB476 are Delegates Hammen, McHale, and Clippinger and Delegates Anderson, Branch, Conaway, Glenn, Haynes, McIntosh, Mitchell, Oaks, B. Robinson, Rosenberg, Stukes, Tarrant, and Washington. Senator Ferguson sponsored SB306. HB476 is scheduled for a hearing in the House Environmental Matters Committee on 2/28. SB306 is scheduled for a hearing in the Senate Judicial Proceedings Committee on 2/14. Exempt Police and "Emergency Vehicles" from speed camera tickets. This was introduced last year and specifically exempted such government owned vehicles even if they were not responding to emergencies. Obviously police and ambulances responding to emergencies with their sirens and light on should not be issued speed camera tickets. But the rest of the time they should need to follow the same laws as everyone else. Currently police and emergency vehicles are excused from tickets If they can show they were responding to emergencies or a call, but can be held liable in some instances if they were not. If the government is going to subject ordinary people to machine enforcement, then government vehicles had better be in compliance with the law. 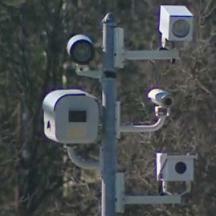 This bill would relax the current restriction that speed camera money be used only for "public safety". It will allow photo enforcement fines to also be used for "education". Frankly we think the current restriction is almost meaningless now, and weakening the restriction any more makes it completely so. We have documented how governments like Chevy Chase have used creative bookkeeping to circumvent funding restrictions or simply interpret anything they want, even things like new Cable TV lines, as "public safety expenses" The only effects of this will be a) for public relations: to ensure that when speed cameras are mentioned in the press that the word "education" and "public safety" is always used by gullible reporters who don't have the time to investigate how the money is REALLY being spent, and 2) to reduce the amount of creative bookkeeping required to kinda-sorta comply with this completely unenforced requirement. It will also encourage schools to advocate for more "school zone" speed cameras, farther from schools, and in more profitable locations, as well as advocating that "school bus monitoring systems" be used for purposes OTHER THAN actual passing of school buses (see HB431). What this bill will NOT do is significantly increase spending on education, since money already in the school budget will end up being diverted to other projects. It would be more honest with the public to simply remove the requirement completely and say photo enforcement money can be spent however a local government wants it to be spent, because money is always fungible and restrictions on the use of specific funding sources are trivial to circumvent. HB 354 is scheduled for a hearing in the House Environmental Matters Committee on 2/21. This bill would change the requirements for the newly authorized "school bus monitoring systems" such that they are no longer required to capture the REAR license plate, permitting them to photograph the FRONT license plate instead. In so doing, it will make it possible for the devices to ticket for technical violations other than their publicly stated purpose. This change sounds harmless but actually is SNEAKY, because it will make it possible for these cameras to be used for a purpose other than the one they were originally sold to the public for(ticketing cars passing school buses). When we wrote our critique of the problems with the original version of the school bus monitoring legislation, we pointed out that the legislaton did NOT specifically require the citations issued to be for PASSING a school bus, but in fact that the provision of state law being enforced by these includes the following provision: "the driver of any 4 other vehicle meeting or overtaking the school vehicle shall stop at least 20 feet from 5 the rear of the school vehicle, if approaching the school vehicle from its rear, or at least 20 feet from the front of the school vehicle, if approaching the school vehicle from its front." At no point does the newly created article of law REQUIRE that school bus monitoring system citation only be issued to vehicles that actually pass the school bus, or even that they actually collect evidence that passing of the school bus while the stop sign was deployed actually took place! So legally, the devices CAN issue tickets to a vehicle that stopped 15 feet away from a school bus rather than 20 (in much the same way that some red light cameras ticket motorists for coming to a full stop just past the white line). But when we missed one crucial thing... the legislation as passed last year required the photos of a REAR plate. If a car does come to a stop 15 feet from the bus, it's FRONT plate would be facing the bus, and the camera. HB431 would "correct that mistake", and make $250 automated tickets for "technical fouls" physically possible (as opposed to only legally possible). Obviously, the local governments running these systems, and the for-profit contractors who operate them for a cut of the fines, can make much more money issuing for harmless technical fouls --- actual passing violations might or might not produce enough revenue for both the government and their contractor to turn a profit. Perhaps what we have described is what they are intending with this change, perhaps not. But for an actual passing violation the rear of the vehicle should always be facing the camera at some point, and technical fouls are certainly not the purpose for which 'school bus cameras' were sold to the public. If it is not their intent, then they need to fix it by specifying the recorded images actually show passing of a school bus took place....an extremely reasonable change! If the state is going to turn school buses into camera vans, so be it. But if they intend to ticket for secondary or technical violations (which haven't resulted in a single traffic fatality in the state in the last 5 years), then they should level with the public about that. HB431 is scheduled for a hearing in the House Environmental Matters Committee on 2/21. The members of the Judicial Proceedings Committee can be found at this link. The members of the House Environmental Matters Committee can be found at this link. SafeZones Speed Cameras "Nail the Innocent Too"